If you’ve ever tried to pour a powdered supplement directly from the scoop into your water bottle, you know it can get pretty messy. Or maybe you’ve tried to turn a post-it note into a funnel? Either way, you probably ended up with more on the floor or counter than you did in the bottle. We’re happy to announce, we’ve developed an easier way to supplement. That’s right, our latest and greatest innovation is here! (drum roll, please) Introducing, the new line of liquid water enhancers! Each of these delicious flavor boosters was designed to simplify your supplements. Just squeeze and go! No, really. Pop the top, squirt the liquid into your water bottle, and you’re done. 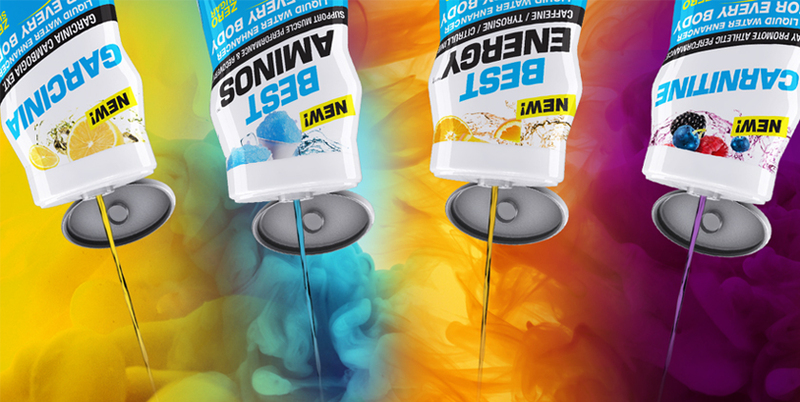 Keep one in your purse, your pocket, your gym bag, your car… any time you want to enhance your existing supplement regimen, liquid water enhancers are ready to go. BCAAs can be taken any time of day, but we recommend before, during and after your workout. 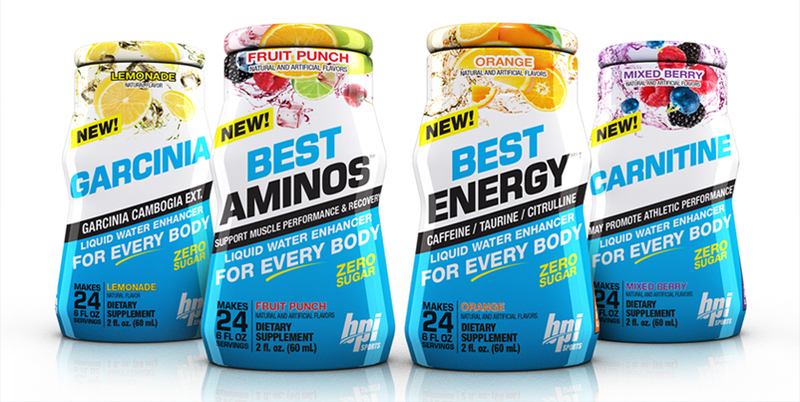 Best Energy™ combines caffeine, citrulline, taurine and agmatine sulfate to help increase your energy and focus. With just 25mg of caffeine per squeeze, Best Energy™ provides a quick, clean burst of energy and clarity, without the shakes or jitters. Best Energy™ can be used as a low-stim pre-workout or any time you need a pick-me-up. Carnitine is best taken with a carb-heavy, post-workout meal. Garcinia Cambogia is a native fruit of Indonesia, Asia and Africa. Traditionally, it has been used to make meals more filling. Add Garcinia liquid water enhancer to your water to help support your weight loss efforts. We recommend taking Garcinia 30-60 minutes before each meal.